This post responds to last weekend’s announcement by Canadian Heritage Minister Melanie Joly of a top-to-bottom review of Canadian broadcast, arts and culture policy. It’s also informed by the CRTC’s #TalkBroadband review where it is wrestling with the vital question of whether universal, affordable basic telecoms services should be expanded to include broadband internet access and, if so, at what standards of speed, quality and affordability, and who should pay for it all? Both events offer enormous opportunities for good things to happen, but also for much mischief, especially if those who have been lobbying the new government day and night since it arrived in office last November get their way. Indeed, Bell has lobbied various arms of the new Trudeau government thirty-two times – nearly twice a week! — between the time it took power in November and the end of March (Office of the Commissioner of Lobbying of Canada). In light of this, while careful and considered thought is essential, there is no time to waste. conclude with five modest proposals, one large one and one radical suggestion about what might be done to close the gap between how things are and what we might want them to be. While the Canadian media economy is small by US standards, it is amongst the biggest dozen or so in the world. The telecoms, internet and media markets in Canada have nearly quadrupled in size in the past thirty years. Total revenues were $75.4 billion in 2014. Is media ownership concentration in Canada high? Yes, based on historical, international and conventional economic measures (see the CMCR Project’s Media and Internet Concentration in Canada, 1984-2014 report). Is the level of vertical integration in Canada high? Yes. The top 4 Canadian vertically-integrated (VI) companies’ – Bell, Rogers, Shaw, QMI, in that order — share of all telecom, internet and media revenues is 57%. Sources: CMCR Project Media Industry Data. This is significantly higher than the top four VI companies in the US (40%): AT&T (DirecTV), Comcast, Charter (including Time Warner & Bright House) and Cox. Figure 2 below shows the state of affairs before yesterdays amalgamation of Charter, Time Warner and Brighthouse was approved. Canada ranks at the very top of the list of 30 countries studied by the IMCRP in terms of vertical integration (see here and here). The big Canadian telcos – except Telus – all own substantial television operations, sports teams and arenas, and so forth. Other than AT&T’s recent acquisition of DirecTV, most US telcos do not own their own television and film operations: Verizon, Frontier, Centurylink, T-Mobile. Besides AT&T, there are no telcos on the list of four biggest vertically-integrated companies in the US. But what about Google, Facebook and Netflix? Their combined share of all media revenues in Canada is less than 4 percent – as of 2014 (see CMCR Project Workbook “Top 20 w telecoms” sheet). Are Canada’s vertically-integrated media companies too big to regulate? No. Are they being regulated effectively? Not as effectively as they might be. Do regulators have justifiable reasons to intervene? Yes. Concentration and vertical integration levels are high and the companies’ abuse of their market power is now a conclusion of fact, not conjecture. People in Canada are voracious users of the internet and all kinds of media, and have long been so (see Cisco’s Visual Network Index Forecast, 2015-2020, for example). Still, however, they must also measure what they watch and do with these vital tools of modern life because of the high cost of a GB in Canada and the prevalence of relatively low data caps on wireless and wireline networks. Restrictive data caps reflect the high levels of vertical integration in Canada and serve to protect the VI giant’s broadcast operations from streaming services like Netflix, etc. Just two days ago, in contrast, the FCC in the US approved the take-over of the Time Warner and Brighthouse cable companies by Charter but only on condition that it commit to not using data caps for the next seven years. This was done specifically to remove an barriers to the further development of over-the-top video services like Netflix, Amazon Prime, and unbundled services from CBS, Viacom, HBO, the NLB, and so on (see here, here and the WSJ). In Canada, the CRTC gave provisional blessing to data caps back in 2009. However, they have gone from being used sparingly to manage internet congestion to become a steady and lucrative new stream of revenue for Bell, Rogers, Telus and Videotron ever since (Shaw advertises data caps but does not apply them). Canadians loathe data caps and the expensive “overage charges” they entail. Data caps send a dumb message as well: that somehow we are using “too much internet”. While Shaw distinguished itself on this point when appearing before the CRTC on Tuesday, it has been discouraging to listen to Bell, Telus, MTS, SaskTel, Bragg and the small indy telcos talk about the need to scrimp on how much internet people use and the speeds that should be available. Their visions of what Canadians deserve as part of a universal basic broadband service is myopic and wholly uninspiring. The extensive reliance on relatively low data caps in Canada constrains what and how people watch TV, listen to music, communicate with one another over the internet and mobile devices, and work. As part of human experience, and critical infrastructure for society and economy writ large, this is a problem. Information and cultural goods are public goods and paying for them out of the public purse is reasonable and ought to be pursued but commercial media stand steadfastly and vocally opposed to any such expansion of public communication. I propose that we amalgamate Canada Post with the CBC to create the Canadian Communications Corporation, the combined result of which could operate as the 4th National Wireless Company, Broadband Provider in remote, rural and under-served urban communities, and Public Broadcaster rolled into one. Netflix and Google should be able ply the land free as they like within the usual bounds of the rule of law with respect to market power, privacy, copyright, free speech, etc. It is not unreasonable, however, to talk about levying a “public data resource” royalty on Google in return for giving it a free hand in gathering all the data from our ‘human’ and natural resources that it uses to run Google Search, Android, Google Maps, Google Earth, Google Books, etc. Such a levy could be used to restore some of Statistics Canada’s funding and technical expertise, and the long-form census. At the very least, foreign internet firms operating in Canada should pay taxes like the rest of us. Indeed, rumour has it that Canada is the only country where Netflix doesn’t pay any taxes. Western University Professor Sam Trosow is right: we must think about information policy in a holistic way. Whereas the Competition Bureau folded in its antitrust investigation of Google last week the day before the European Commission opened up a second prong in its antitrust case against the digital behemoth – the first with respect to its dominance of EU search markets, where it often has a market share over 90%, the latest a new front targeting Google’s leveraging of its Android operating system to gain prime real estate on people’s mobile devices for the its Play Store, Chrome Browser and Search to the exclusion of other competitors and a different range of preloaded functions, capabilities and apps – there is still time to take another look in light of the fuller view being brought into focus by Joly’s DigiCanCon review and the CRTC’s ongoing #TalkBroadband proceeding. We need a “whole of government” approach, and so far, that is missing in action. Unbundling the Network: Partially. Hesitantly. . . . Slowly turning from a systems and broadcast-centric view of the world to a lego-land, telecoms-internet-mobile wireless centric view of the world – skinny basic, untied streaming tv services like Shomi and Crave, and pick-and-pay TV are just the start (for an early vision along these lines, see Huber’s The Geodesic Network II). The CRTC and the previous government have made the high levels of concentration in mobile wireless, broadcast distribution undertakings (DBUs) and television a centre-piece of their proceedings and policies. Bell Mobility, RCP [Rogers], and TCC [Telus] collectively possess market power in the national market for GSM-based wholesale MVNO access (CRTC 2015-177, para 88). The Competition Bureau’s findings were crucial to this outcome, although its appearance before the CRTC hearing on the matter was abysmal. They have rediscovered and applied section 27 of the Telecommunications Act in three cases: Wholesale Roaming investigation 2014-398; Wholesale Mobile Wireless Decision 2015-177; Mobile TV 2015-26. The Wholesale Roaming investigation 2014-398 found that wholesale mobile wireless roaming rates were “clear instances of unjust discrimination and undue preference”; banished exclusivity provisions in wholesale roaming agreements; and opened a wider examination into wholesale mobile wireless services that led to the second-shoe falling, the Wholesale Mobile Wireless Decision 2015-177. In Wholesale Mobile Wireless Decision 2015-177 the CRTC re-asserted its authority to regulate wholesale mobile wireless facilities and rates, set temporary caps on wholesale roaming rates and called a Phase II costing proceeding upon which it will set out new guidelines for wholesale wireless roaming rates. The Mobile TV 2015-26 Decision did four things. it found that Bell and Videotron were giving themselves “an undue and unreasonable preference” by “providing the data connectivity and transport required for consumers to access the mobile TV services at substantially lower costs . . . relative to other audiovisual content services”. the CRTC concluded that this was bad for competition, the development and growth of new OTT services, and for consumer-citizens. it drew a sharp line between transmission (common carriage) and broadcasting (content). In so doing, it forced Bell, Shaw and Rogers to bring their Mobile TV offerings into compliance with some of the common carrier principles flowing from section 27 of the Telecommunications Act. it acted on the well-founded and meticulously researched and formulated complaint by a citizen and now Ph.D. student in the School of Journalism and Communication at Carleton University, Ben Klass. That the previous government’s actions and ongoing regulatory intervention in the market is substantial in Canada is beyond doubt. At the same time, however, this is not unique. We have seen the “return of the state” in many countries. In the real world, the effective operation of “real markets” depends on the rule of law and the firm hand of independent regulators, back-stopped by, yet independent from, politicians, policy makers and the Ministers whose bailiwick it is to see that good things happen (in this case, this is Minister Navdeep Bains at Innovation, Science and Economic Development and Minister Melanie Joly at Canadian Heritage). In terms of what has been done in recent years, we have had spectrum auctions aplenty, explicit spectrum set asides for new cellcos, regulated wholesale mobile wireless roaming rates, adoption of the Vertical Integration Code, the stripped down ‘skinny basic’ TV with a price cap, the push to keep over-the-air TV alive in so that the digital switch over of a few years back might bear fruit and become a thorn in the side of cable, satellite and IPTV companies whose rates continue to climb much faster than inflation, and the forced unbundling of tv channels. threats of capital investment strikes and a bevy of other efforts to turn back the tide. So what are the limits to this newly interventionist Regulatory State? First, while the CRTC has rediscovered section 27 of the Telecommunications Act – the no undue preference clause – we must remember that it is followed immediately by section 28, which those in the know see as saying that carriers cannot give undue preference EXCEPT when doing so advances the objectives of the Broadcasting Act. This puts the best bits of the telecoms act at war with itself and risks subordinating telecommunications – broadband internet, basically – to broadcasting. Such waffling runs counter to the principles of telecommunications upon which the open internet and mobile phones are built — tried and trued principles that come down to us in section 36 of the Telecommunications Act from Roman Roads, Venetian Canals, and the Taxis family courier service in medieval Europe. Moreover, while one might argue that section 36 should be the crown jewel of the Telecommunications Act, there has been an extreme reluctance to use it. Why? Regulatory hesitancy seems greatest on this point. This is evident in its almost complete lack of use during a time when those who own the media have become so inextricably intertwined with the ownership and control of messages. It is also evident in the exception carved out for over-riding this principle if it meets some ill-defined objectives of the Broadcasting Act. It is time to wheel section 36 out of storage and put it back in place as the crown jewel around which the entire set-up of the evermore internet- and mobile wireless-centric universe revolves. This hesitance was also visible in the Mobile TV, a case in which content — and the carriers’ control of it — is very much front and centre. While drawing a sharp line between carriage and content, however, the CRTC refused to reach for the bedrock of common carriage: section 36. This seems to mark the outer limits of where it seems willing to go and in continuation with the fact that this section has been largely dormant over the years. While the decision to kick some new life into section 27 is to be applauded, and the increased willingness to constrain the power of vertically integrated companies by loosening their grip over the basic building blocks of the network media ecology – spectrum, wholesale mobile wireless facilities and roaming rates, data transport and content – and sharpening the lines between carriage and content is great, much more is needed. 5 Modest Suggestions + 1 Big One + 1 Radical One. Breathe new and vigorous life into section 36 by firmly separating control over the infrastructure from influence over the messages / content flowing through the pipes / ether. Sharpen and harden the line between carriage and content. Any proposals to use a levy on ISPs and mobile phones to fund CanCon should be given a stillbirth. While the entrenched clients of the existing broadcasting system never miss a beat to promote “the ISP tax”, these ideas are out of synch with the times and the tastes of the people. They are anti-internet and prolong “a systems” view of the world that conceals a murky labyrinth of cultural policy funds flowing from one pocket to another, often within the vertically-integrated companies. Impose vertical separation along functional lines between carriage and content, and between wholesale access to passive network infrastructure and network operators and retail telecoms service providers. Transfer authority over spectrum from Industry Canada to CRTC. Eliminate the whole category of broadcast distribution undertakings (BDUs) upon which the cable, satellite and IPTV industry is based. It’s all telecom-internet access and carriage now. Take the funds funneled into the Canadian Media Fund from BDUs directly out of the general treasury. More generally, we need to think about bringing subsidies for broadband connectivity into line with funding for the CBC and Cancon. Currently, the CBC receives $33 per person per year, with nearly three-quarters of that amount again for the arts and culture at large. Broadband internet subsidies, by contrast, are a comparative pittance at roughly $2 per person per year. I do not think that Canadian citizens would chafe at upping that amount to somewhere between what Sweden spends on broadband internet access subsidies (an average of $5 per person per year) and the CBC ($33 per person per year) (see sheets 3 & 4 here). Any bid to pare back the CBC and other arts and culture funding should be dismissed out of hand. We are not big spenders when it comes to arts, culture and Cancon, and generally at the lower end of the scale. In short, there’s little room for cutting, although how subsidies are organized, allocated and used are other matters altogether and surely up for grabs under the sweeping review that Minister Joly is spearheading. Merge Canada Post with the CBC to create the Canadian Communication Corporation (CCC) with a mandate to become the fourth national mobile wireless provider; blanket cities with open access and light up the vast stock of under- and unused municipal dark fibre; extend public wifi; extend broadband internet access to under- and unserved people in rural, remote and poor urban areas; create, disseminate and make public art and culture as accessible and enjoyable as possible, and fund it from the treasury not by an opaque labyrinth of intra- and inter-industry funds overseen by a fragmented cultural policy bureaucracy. The original goal of the U.S. Post Office was to bring “general intelligence to every man’s [sic] doorstep”, while also serving as a heavily subsidized vehicle for delivering newspapers (John, 2010; Starr, 2004). The CCC could be to the broadband internet and mobile-wireless centric world of the 21st century what the Post Office was to the print world of times past. The CCC could repurpose some of the CBC’s existing spectrum holdings and broadcast towers for mobile wireless service coast-to-coast-to-coast, real estate could be combined and used to site towers, local post offices used to sign up cellphone subscribers and sell devices, and Canada Post vehicles given more windshield time making sure that the country’s system of correspondence, communication and parcel delivery run as they should. Postal workers are giving some thought to renewing the post office for a broader sense of purpose, but have not ventured into this territory — yet; at the same time, informal discussions with some Canada Post senior execs suggest that this isn’t the first time they have heard of such ideas. Equally important, I don’t detect any inherent hostility against them. Maybe it is time to discuss a #RadicalMediaPolicy4Canada? With two official proceedings underway, maybe we can broaden the terrain with a third? * This post reworks ideas first presented at the Forum for Research and Policy in Communication’s Rebooting Canada’s Communication Law at the University of Ottawa, May 22, 2015. Thank you to Monica Auer for inviting to present there. The final day of the CRTC’s hearing into the future of television saw a heated clash between CRTC chair Jean-Pierre Blais and online video distributor Netflix. It was a moment with few precedents, and one ripe with a myriad of fascinating questions (Netflix presentation here; CPAC coverage here). 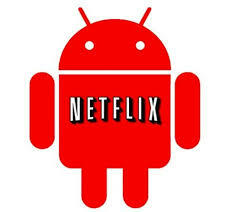 The clash ignited when Blais’s request to Netflix’s Director of Global Public Policy, Corie Wright, to file information with the commission about the number of subscribers it has in Canada, its revenues in Canada and other information the company does not routinely disclose was met by much hesitance on Netflix’s part. As Wright repeatedly returned to concerns about confidentiality, Blais testily questioned whether Netflix did not trust the CRTC’s ability to deal fairly with companies’ request for confidentiality. The problem, however, is that while Netflix demanded guarantees of confidentiality, it is the CRTC’s prerogative to determine whether such requests outweigh the public interest in disclosure. And in this regard, Blais refused to concede that prerogative while Netflix was equally intent on assuring confidentiality for information that it never gives out to anyone, no matter who asks. While that may cut it when it comes to researchers and journalists, it won’t do in the context of a CRTC hearing that is, after all, a quasi-judicial proceeding with stringent legal standards about evidence. The point was made on the opening day of the “Talk TV” hearing as well when a similarly frustrated Blais encountered PR puffery from Google that hardly constituted robust evidence that could be used to shed light on anything other the company’s own interests and story that it’d like to tell the world. This is not novel and is, indeed, well-established practice. Indeed, for all those who play in the regulatory arena, there is little more frustrating than the extensive use of the infamous hashtag (#) in instances that the CRTC has granted companies confidentiality over those who have sought disclosure. Indeed, for many, the problem is that the CRTC has been too generous in granting confidentiality over disclosure. So, to have Netflix say that it was seeking to pre-empt the question by having guarantees of confidentiality from the get go was beyond the pale, and Blais treated it as such. So, where do these trade-offs between confidentiality and disclosure come from? Three places. First, from the general tradition of regulated industries where the interest of the public in the matters at hand are always weighed against business demands – typically expansive – to keep their affairs private.
. . . [The CRTC] conducts its public processes in an open and transparent manner. In some instances, parties submit information in the course of proceedings for which they request confidentiality. . . . [O]ther parties to the proceeding may request public disclosure of the information. If such a request is granted, the information is put on the public record. If it is determined that the harm outweighs the public interest in disclosure, the request is denied and the information remains confidential. Basically, Netflix was trying to force the CRTC into a corner today over this issue, and Blais was not having any of it. Lastly, the CRTC’s Digital Media Exemption Order under which Netflix and other OTT providers operate in Canada albeit exempt from the normal requirements of the Broadcasting Act, makes it clear that such companies are required to submit information regarding their “activities in broadcasting in digital media, and such other information that is required by the Commission in order to monitor the development of broadcasting in digital media”. Some may not like these requirements, but for the time being they are the rules of the game and having decided to play by the rules of the game since its entry into Canada in 2010, today’s hearing was not the right place for Netflix to challenge them. We must remember that, since its first New Media Order in 1999, the CRTC has always claimed regulatory authority over television and other broadcasts delivered over the internet but has exempted them from the requirements of the Broadcast Act. It did so on grounds of technological neutrality, fostering creativity and innovation and that doing so would not prove disastrous to the Canadian “broadcast system”. In short, it is not whether the CRTC can regulate the internet broadcasting, as Michael Geist noted the other day, but will it? The answer has unambiguously been yes, the CRTC can regulate internet broadcasting, but will not for the time being. That was the answer in 1999, in 2009 and in its last statement on the matter, the Digital Media Exemption Order (2012). Three final points. First, Netflix cannot cherry pick the elements of Canadian media and telecoms policy that serve it while cocking a snook at those elements it would rather not deal with. Netflix has been the beneficiary of the CRTC’s robust network neutrality rules, rules that apply both to wiredline telecoms and mobile wireless telecoms providers. This has been a huge benefit to Netflix, and partly on account of such measures its ability to locate its content caching equipment at Canadian telecoms and ISP providers such as Bell, Rogers, Telus and Shaw are a far cry easier in Canada than in the US. The forthcoming CRTC Mobile TV proceeding will help to determine the utility of these rules. As Netflix does battle in the US at the FCC hearings now taking place over the future of network neutrality in that country, it would do well to recall the comparably better conditions it has in Canada. As Netflix itself noted today, Canada is its best international market and I would suggest that the combination of the CRTC’s network neutrality and light touch Digital Media Exemption Order help explain this state of affairs. As such, when the Commission asks for information and to trust that it will make the proper decision in weighing the company’s claims for confidentiality with the benefits of public disclosure, Netflix would do well to play ball. Third, Netflix also needs to recognize that, faced with a wall of claims from incumbents for two week’s running that unregulated OTT services threaten the Canadian “television system” altogether, robust evidence could help put such self-serving claims in perspective and is just what the CRTC needs. Indeed, Netflix should meet the CRTC’s deadline for its orders for information of this Monday to help in just this regard, otherwise the CRTC will be left with much self-serving bluster about falling skies and doom and gloom. Finally, it’s time to recognize that while I don’t personally think that Netflix should be subject to all of the requirements of the Broadcasting Act, this is no longer the days when technophiles could see the Internet as an unregulable space. Those days were always an illusion and, regardless, are over. There is a discussion to be had, and that discussion is already underway in many other countries around the world, as Netflix knows full well. Outside Canada, the European Union’s Audiovisual Media Services Directive brought online video providers under its sway in 2010. The Dutch and France have also reportedly required it to torque its algorithms to give priority to local content and to contribute to the creation and circulation of television content from both countries and Europe as a whole. Whether we agree with that or not, it’s now the discussion to be had, rather than ducked with gestures towards the internet as some kind of nirvana that exists outside the normal laws of the land. Neither Netflix, Google nor any other ‘digital media giant’ can escape this reality by invoking the internet as an world beyond regulation when they please while calling for network neutrality when that suits. What we all need to realize, is that an open media requires smart regulation not no regulation. Early in December a journalist from the Huffington Post, Althia Raj, contacted me about a letter that she had turned up through an access to information request. Sent by then Heritage Minister James Moore to the, at the time, new chair of the CRTC, Jean-Pierre Blais, on his first day on the job (June 18, 2012) the letter lays out what is expected of the incoming chair in a surprising amount of detail, despite the fact that the CRTC is suppose to be independent from the government-of-the-day. In this so called “mandate letter”, Moore lays out a number of “issues of mutual interest” that he hopes he and Blais “can work together on”, while remaining mindful of the fact that whatever cooperation does occur must “maintain an appropriate level of distance between our two organizations”. more “competition, investment, innovation and consumer choices” is needed in telecommunications services, and all with a light regulatory touch but with a keen eye on “consumer protection and participation”. While I like the broad contours of the letter, however, I also think it is unusual, and deeply problematic. Why? First, because there is no precedent, to my knowledge, of a Minister sending a ‘mandate letter’ to a new head of the CRTC laying out what is expected of them. Second, a ‘mandate letter’ has no basis in the Broadcasting Act (1991) (sections 7-8, 15, 26-28) or the Telecommunications Act (1993) (sections 8, 9 and 12) – the two main pieces of legislation that apply in such matters. Both laws give Cabinet broad powers to issue policy directions and to review, vary and overturn CRTC rulings (Orders-in-Council), but they do not give the Minister authority to do any of these things, or to send a letter telling an incoming chair of the CRTC what the Minister expects of him or her. Third, while the Minister tries to straddle the awkward zone between respecting the CRTC’s independence and framing a mandate around ‘mutual interests’, the very existence of the letter casts doubt on the regulator’s autonomy. As a result, it is impossible to know for certain whether the CRTC’s newfound standing as a champion of the Canadian consumer on Blais’ watch is the fruit of consumer friendly decisions that have rankled incumbent interests, or the unintended prize of serving up just what the Minister ordered? Blais seemed to wince when Raj raised the notion that perhaps he was just following orders rather than marching to his own drum. However, he also worked hard to parry the appearance that the CRTC’s might be being used for partisan ends. He had to because, ultimately, the legitimacy of the regulator depends on being seen and believed to be independent from the government. I do not think that Blais is doing the Minister’s bidding. However, it is naïve to not see the problem here. It is also naive not to see Blais and Moore as at least rowing in the same direction on the ‘consumer friendly’ approach to telecom and media regulation. The consumer focus of the Conservative Government is real, and Blais appears to have little trouble with that. There is also no doubt that the Government chose Blais because it sees him as ideologically allied with them, and probably because of the close relationship that he and Moore cultivated when the former was a copyright lawyer at Heritage – Moore’s former home turf. All of this should have been enough without the Minister firing off a letter that only raises doubts about the CRTC’s autonomy while at the same time being of doubtful legal standing or even effectiveness. Furthermore, the letter reinforces views that the Harper Government keeps bureaucrats on a short-leash, while the fact that the letter only turned up through an access to information request only furthers notions that the government prefers to rule in secret rather than in the light of day. Curious to know what others thought about this, I canvassed scholars, lawyers and former high-ranking bureaucrats to find out what they thought. None of them has ever seen a ‘mandate letter’ before, but could imagine such a thing, as their replies reproduced below show. Their views about whether such a thing was a good or bad thing are mixed. David Skinner, Professor, Communication Studies Program, York University. This sounds intriguing (and problematic). I have never heard of such a thing before. Perhaps obvious suggestions, but have you asked Liora Salter or Konrad von Finckenstein? It would be interesting to know if there is something here and who/what party “invented” it. Konrad von Finckenstein, former chair of the CRTC (2007-2012), head of the Competition Bureau (1997-2003), Justice of the Federal Court (2003-2007) and now an independent arbitrator of Canadian and international business disputes. The letter to Blais was indeed unprecedented. Like you I have no problem with the general contours. Strictly speaking it should have taken the form of a direction to the CRTC like the government did on forbearance for instance. Instead they used the more informal letter carefully saying “should” instead of “shall” thereby leaving some leeway to the Commission to differ with the expectations expressed in the letter as it sees fit to do so. Frankly, I think the letter is useful. It shows a delineation of the government’ s overall policy and will avoid any unintentional conflict between the Minister and CRTC yet leaves the CRTC open to go a different way, if it feels circumstances warrant, and allows it to spell out in detail, in an preemptory defense, why it took the decision. Personally as chairman I would have preferred such a letter to the sudden criticism that resulted when the CRTC took a decision the government did not agree with. By the way you might want to file an access to information request to see if a similar letter regarding broadcasting was sent by Minister Glover to the chair. Jon Festinger, Q.C., media, regulatory and corporate lawyer and a faculty member of the Centre for Digital Media in Vancouver. He also teaches law at the UBC Law School and Thompson Rivers University. Having practiced regulatory law for much of my career […], I can say that I have never heard of a “mandate letter”. More interesting than my opinion is that of Sheridan Scott former counsel to the Commission and past Commissioner of Competition, heading the Competition Bureau of Canada. Sheridan very recently spoke to my class at UBC Law (Video Game Law) on the intersections of policy, politics & Law. She expressed her opinions and surprise on the subject of procedures being followed by cabinet vis-a-vis the Commission, if memory serves. You can find video of Sheridan’s talk here. Her talk starts at 1:03:44. Sheridan Scott, co-chair of the competition practice at Bennett Jones LLP and Canada’s Commissioner of Competition from 2004 to 2009 and Chief Regulatory Officer of Bell Canada before that. I also believe that this sort of letter is unprecedented but my reaction to it is generally positive. I have always been in favour of policy directions rather than Cabinet appeals, since they necessarily speak to general rather than case-specific issues. While a letter such is this is not the same as a policy direction, and is not subject to the same procedural safeguards, I would nonetheless see it as providing useful context to a regulator that operates at arm’s length but not in a complete vacuum. I do not think that it in any way forces the CRTC down a specific road: it instead provides some useful considerations to be aware of in carrying out their statutory mandate. In the telecom side this direction is nothing more or less than the Policy Direction issued several years ago, so nothing new. On the broadcasting side, there is more guidance but the wording is quite general. Obviously there are many ways for the Commission to provide access to more programming choices and affordable choices and this letter does not prejudge or dictate any of these. Nor are these unusual goals to identify: the CRTC itself often indicates that its decisions are aimed at increasing programming choices and affordability. As far as providing consumer access to broadcasting hearings, this is also something the CRTC has tried to do especially under Konrad’s direction, when benefits monies were diverted for this purpose. If there is one thing I find disappointing about the letter, it is the failure of the government to say anything about the importance of Canadian content. Fostering the development of Canadian content and encouraging its accessibility were clearly amongst the original intentions of the legislators and lie at the heart of the legislation, as the Supreme Court of Canada has recently suggested. This letter can’t change that and indeed it suggests the Commission should be mindful of the original intent. In sum, while this sort of letter is unusual it does not to my mind constrain the CRTC in any material way and provides additional context for the Commission to consider. In any event, I’m not sure there is much of a remedy if the CRTC fails to take any steps in these directions. The government can’t issue a policy direction to apply to past policy decisions (though it could issue a direction to influence decisions on a forward looking basis) and on the broadcasting side Cabinet appeals are limited to decisions to issue, amend or renew broadcasting licences only. The scope of Cabinet appeals is broader on the telecom side, and I think this type of ministerial communication is definitely preferable to tweeting what the Cabinet is likely to do on appeal, before the CRTC has taken a decision, as we have seen in the past. And in any event, there is already a Policy Direction in place, and the letter does nothing but confirm this. I have also heard from several communications law experts. The consensus view is that the letter walks a fine line — likely inappropriate but not illegal. In the so-called “arm’s length” relationship, the length of the arm has never been fixed — but in this interaction it appears to be very short. With respect to telecoms, the letter references the Policy Direction which is public and in force, so that’s a wash.
For broadcasting, the letter, combined with the Section 15 Order, is certainly relevant to anyone participating in the CRTC’s consultation on the future of television. Unlike the S.15 Order, the letter cannot in any way be considered binding on the Commission or the Chair. However, the letter gives the appearance of constraining the CRTC’s discretion because, ultimately, the government could intervene by way of a formal policy direction if the CRTC’s outcome were contrary to the views expressed by the Minister. So arguably this is setting policy by stealth — without the government having to take on the responsibility and suffer the onerous public and parliamentary process of issuing a formal policy direction as set out in the Broadcasting Act. In this context, the letter’s release under access to information may be way of managing expectations of interested parties — especially those with a vested interest in the status quo. When the current Broadcasting Act was being debated in Parliament, the main criticism of the proposed Governor-in-Council power to issue policy directions was precisely this outcome — that the mere existence of the power would so change the relationship between the CRTC and the government of the day that the government would be able to get away with telling the CRTC what it wants without having recourse to the process set out in the Act. This outcome, it was feared, would undermine the independence of the regulator much more significantly than any actual use of the power as set out in law. Since the Act was passed in 1991, this letter is the first documented instance of this criticism and concern having been borne out. Clearly, Moore’s letter to Blais raises fundamental issues about the independence of the CRTC. While views differ over the appropriateness of the letter, nobody thinks the ‘mandate letter’ is business as usual. One thing that emerges from these responses is the sense that regulators have been blind-sided by already high-levels of intervention in the CRTC’s affairs. This was notably the case when then Industry Minister Tony Clement announced, by all things, a tweet that the CRTC’s Usage-Based Billing decision in 2010 would be overturned if the Commission did not go back to the drawing board on its own accord. Duly warned, von Finckenstein ordered the CRTC staff back to the drawing board; a more palatable wholesale bandwidth access rate followed the next year. Rather than continuing to be blind-sided, it’s not surprising that those closest to the fray – von Finckenstein and Scott, notably – think that giving the government even more powers to issue ‘mandate letters’ might offer greater clarity. Indeed, with a mandate letter in hand all might be clear and no one would be sent back to the drawing board by tweets issued in the middle of the night. That is understandable, but I have my doubts. Anonymous, it appears, who I can assure is no stranger to these matters, is not so sure either. I worry that grafting more powers on the extensive ones the government already has will only further eliminate whatever independence the Commission still retains. Regardless of which of these views is correct, one thing is clear: ‘mandate letters’ are not ‘business-as-usual’. Things need to change, but just how remains up for grabs. Until they do, however, the independence so essential to the CRTC’s legitimacy and, the public’s trust in it, will remain on shaky ground, and for good reason.